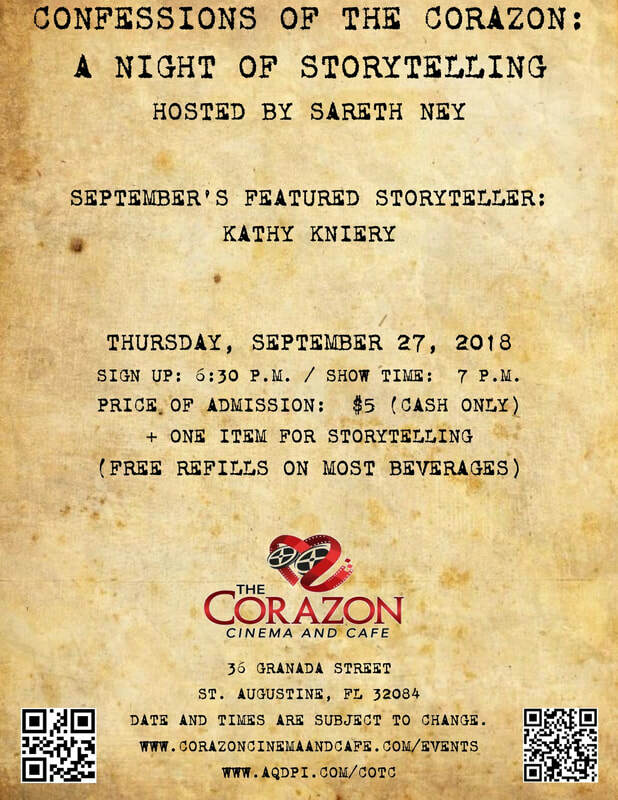 Stories and storytelling events ​for Oct.
ST. AUGUSTINE, Fla. – “Confessions of the Corazon: A Night of Storytelling” took place at the Corazon Cinema and Café, on Sept. 27. It was hosted by Sareth Ney and the featured storyteller was Kathy Kniery. Storytellers included: Robin Mahonen, Uncle Eddie, Natalie Beltrami, David Fussell and Betty Fess.